Invent the next pizza that could revolutionize the way we eat pizzas. People today take their meals very differently from the way we used to in the past. More and more so, we don’t only sit down three times a day with one large plate put before us. 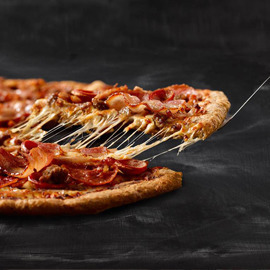 To be relevant to people ages 18-34, Domino’s Pizza wants to reinvent pizza and make it more relevant to today’s generation. How could your pizza innovation change the way we eat pizzas and help Domino’s own eating occasions?